Okay, okay, I know it’s not quite “soup weather” – it’s still in the mid-80’s here in Atlanta. However, it is September and Starbuck’s is serving Pumpkin Spice Latte’s… so, it’s getting close and I’m going to start making soup anyways! 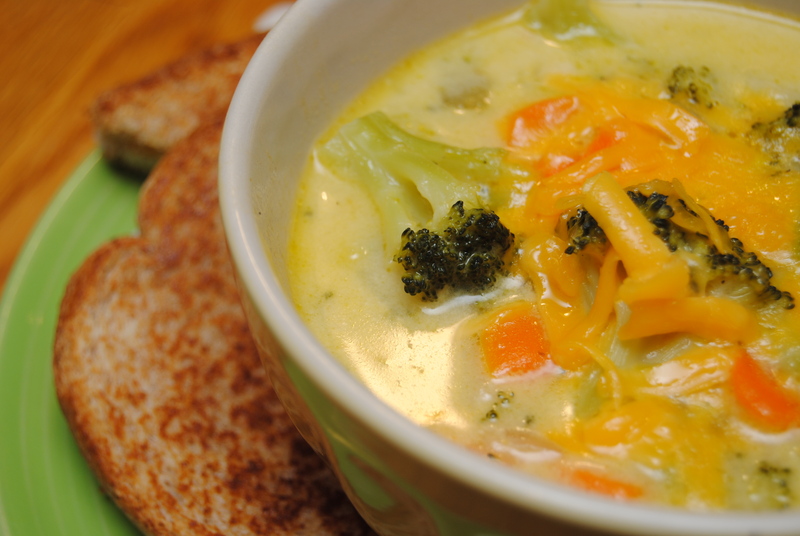 My first soup of the season is a Broccoli and Cheese Soup. 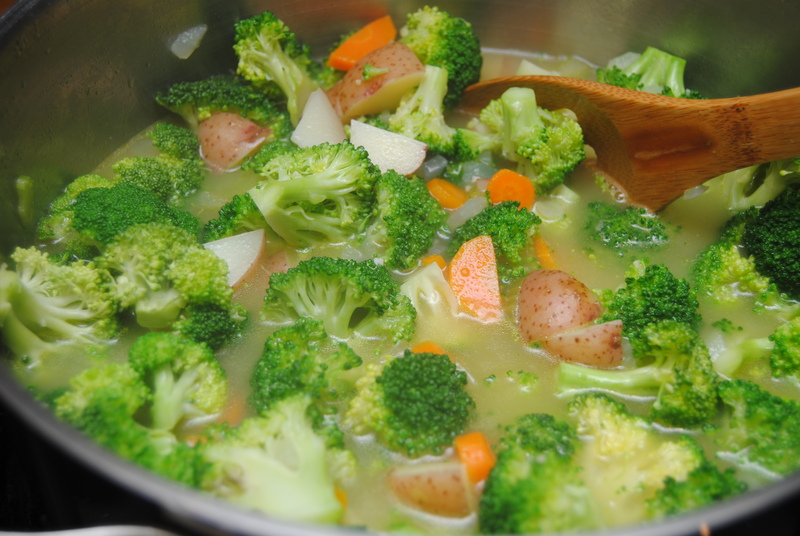 It’s a little different than your standard B & C – it has a thinner broth and is loaded with veggies. 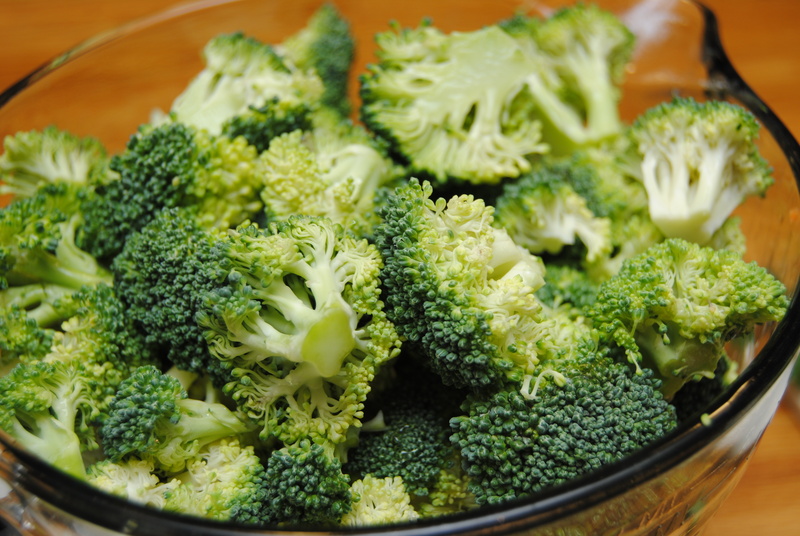 This recipe was inspired from one I found on Pinterest, and I followed it pretty closely except that I added a lot more broccoli. 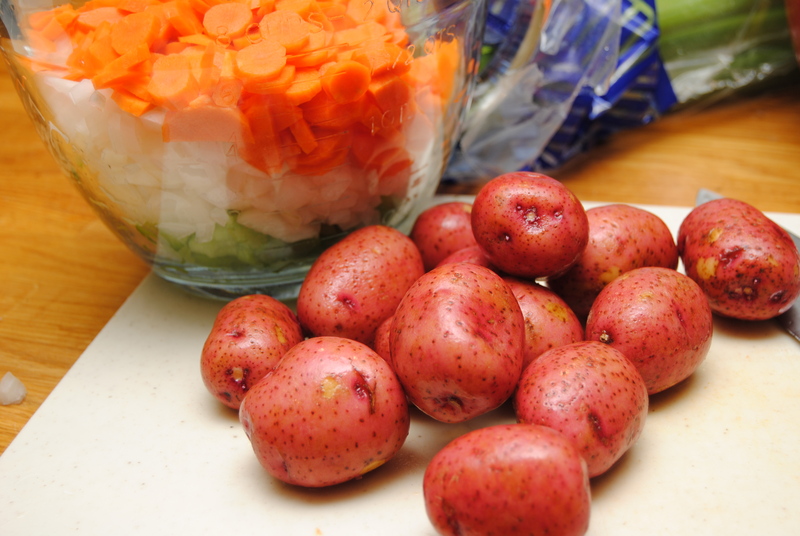 I couldn’t get the boys to eat any (they’re not much for soup so I’ve got some work to do!) so it was a good thing I made grilled turkey and cheese to go along with it! 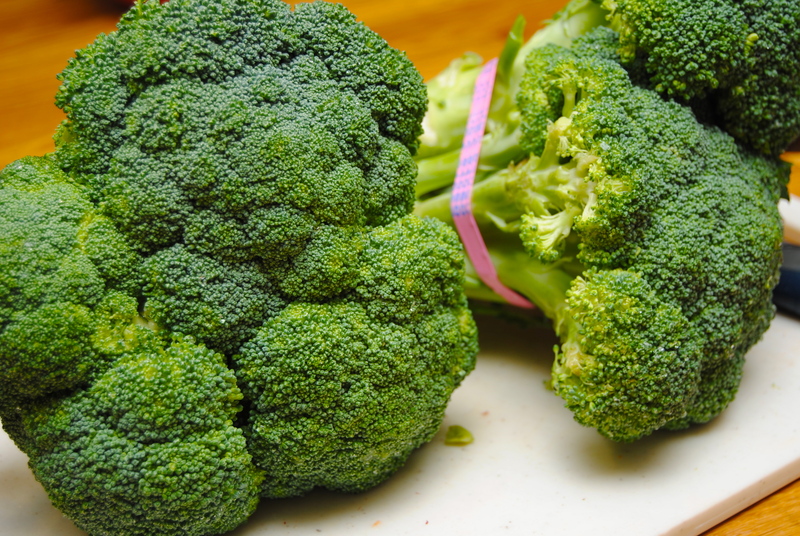 If you like Broccoli and Cheese this is a must-try. Hope you enjoy! 1.) Melt butter in a soup pot. Add onions, carrots and celery and saute over medium high heat until tender (about 3 to 4 minutes). Add garlic, sauté for 1 more minute. 2.) Add 6 cups chicken stock and potatoes. 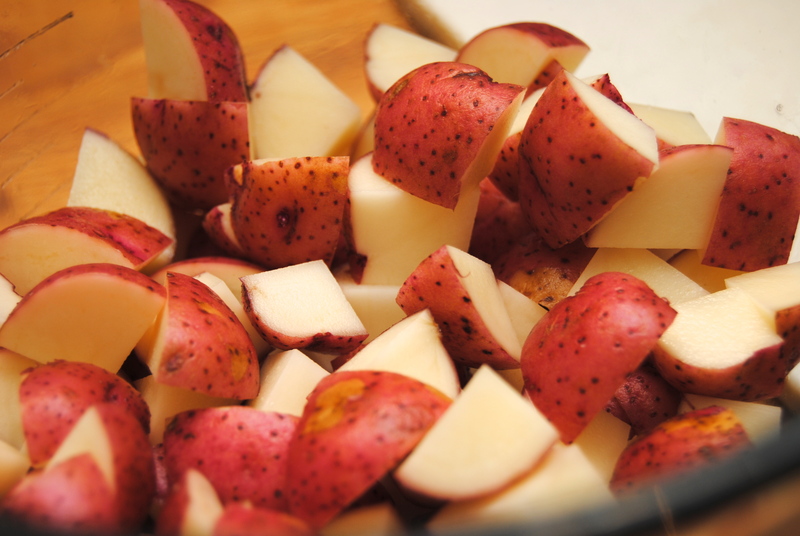 Bring to boil and cook until potatoes are tender (about 15 minutes). 3.) 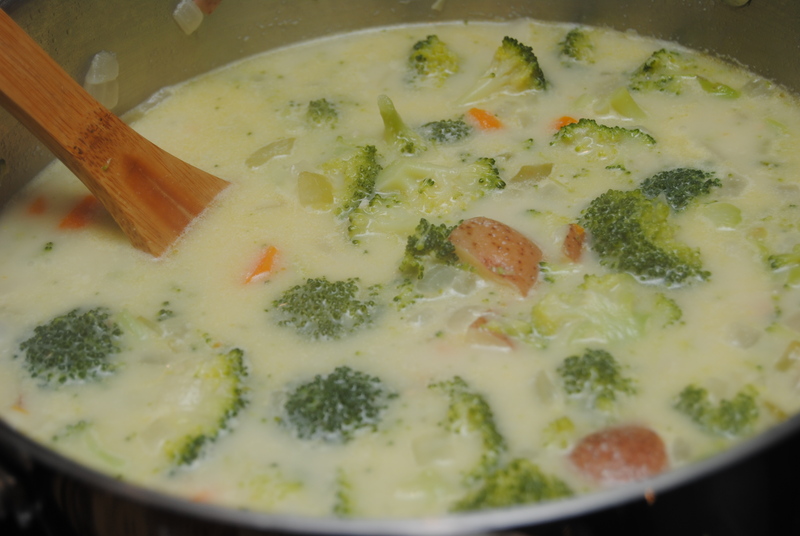 Add broccoli and milk and cook until broccoli is tender, about 5 more minutes. 4.) Mix flour with 1/2 cup chicken stock and pour into soup. Simmer until it slightly thickens. 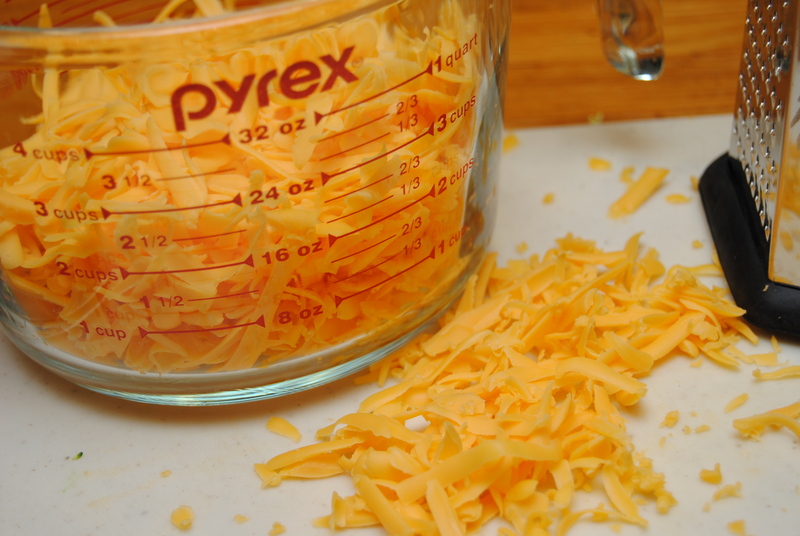 Remove from heat and add cheddar cheese. Mix thoroughly and serve. 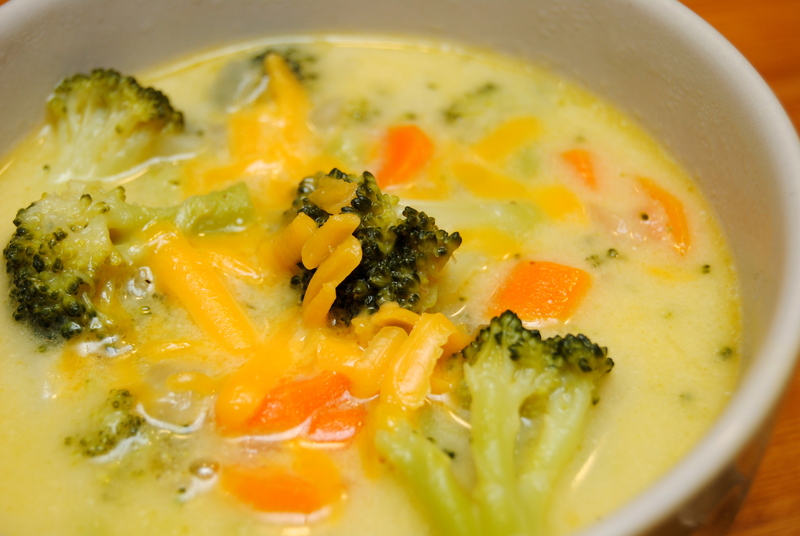 This entry was posted in Food and tagged Broccoli, Broccoli and Cheese Soup, Cheddar Cheese, Cooking, Food, Soup, Vegetables by biscuitsncrazy. Bookmark the permalink.